Darol Anger is a true fiddle guru, unique in his huge range and depth, who has spent over three decades reinventing American string music to encompass his explorations of bluegrass, jazz, and music from around this world. The groups that he founded or co-founded include the David Grisman Quintet, the Turtle Island String Quartet, Psychograss, Montreux, and the Republic of Strings. His playing and composition overflow with passion, prodigious technique, and a generous sense of humor. He has spent his career enlightening and inspiring his fellow musicians, and vice-versa.­­­? That’s where the Furies come in. In Greek mythology, the Furies were ferocious godlike avengers who would swoop down on mere mortals and destroy them with relish or mustard. 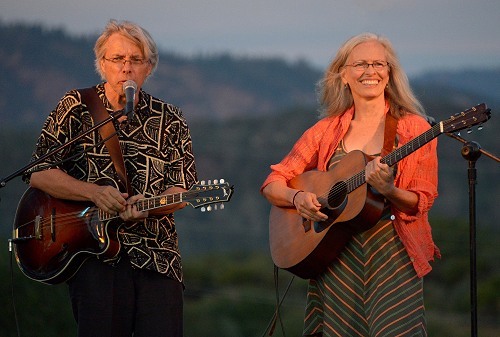 The only difference here is that when these fantastically talented presences swoop down on Darol Anger, the result is not destruction, but inspiration. The Furies are a handpicked collection of multi-generations virtuoso singers and musicians drawn from Darol’s vast network of talent. Emy Phelps does not remember a time when she has not sung. Trained in theater arts at Ashland, Oregon’s world- renowned theatre program, she worked for 3 years in The Green Show, an ongoing Festival event. She was a member of Brian Ransom’s Ceramic Ensemble, touring internationally from 1980–1987. As a member of that ensemble she did research on indigenous music in Peru. She is a musician of note in the Oregon region and has performed all around the Pacific Northwest since the late 80’s. Her touring career was put on hold while obtaining a degree in education, teaching at elementary and middle schools and successfully raising four children, but now her public work continues as a recording artist, core songwriter of the Furies, and in a duet with Darol Anger. Her current release with members of The Furies is Look Up, Look Down, and she has participated in recordings by Patrick Brayer, Chris Darrow, Norma Tanega, Taarka, and Duke McVinnie. Past venues include the Northwest String Summit, Wintergrass, Delfest, the Peter Britt Festival, New Music America Festival Philadelphia, North By Northwest, the Moab Folk Festival, Oregon Country Fair, John Hartford Memorial Festival, and Northwest Folk Life Festival in Seattle. 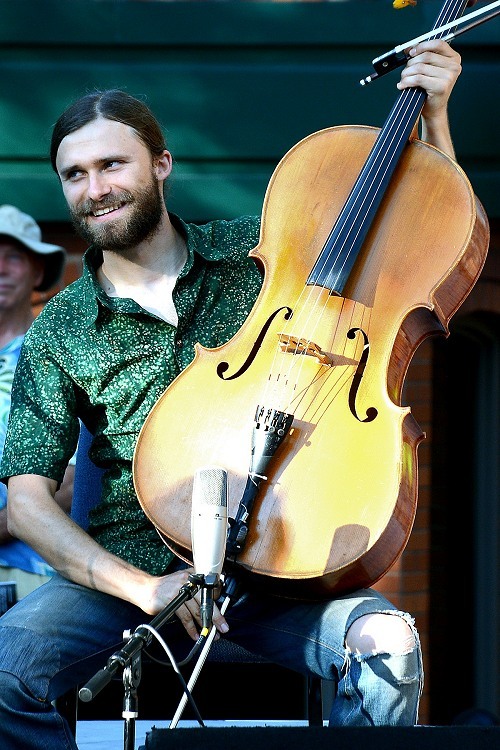 Tristan Clarridge is one of the most influential and brilliant string musicians ever to come out of the west coast. Before the age of 30 he has already been a 6-time Grand National Champion fiddler, performed all over the world as a member of Darol Anger’s Republic of Strings and the PopGrass phenomenon Crooked Still, the founder of the Chamber-grass group The Bee Eaters and, with his equally talented sister, helps to run various fiddle camps all up and down the West coast, inspiring and educating hundreds of young string musicians. His abilities on fiddle, cello, and other string instruments are legendary.